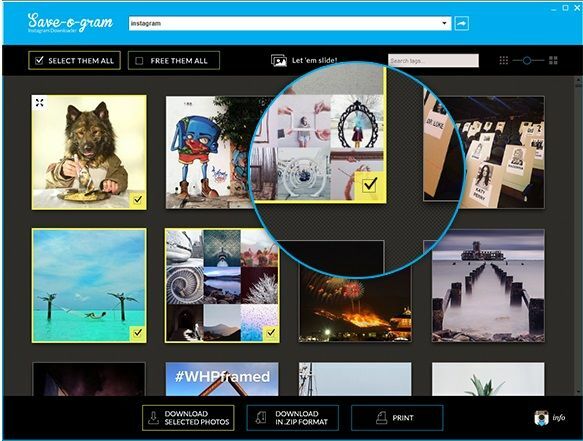 Save-o-gram Instagram Downloader is a tool that can be used to download photos from the Instagram service. Download photos from any Instagram account in their original format or in a .zip file. View photos in a resizable grid or in a full size slideshow. Select one, more or all photos from any Instagram user. Search photos by tags and save time. Print selected photos and enjoy the view.